The Dynamites returned winless from playoffs only once out of five seasons thus far. After all the excitement in the league stage, the sixth edition of the Bangladesh Premier League (BPL) is into its playoffs. 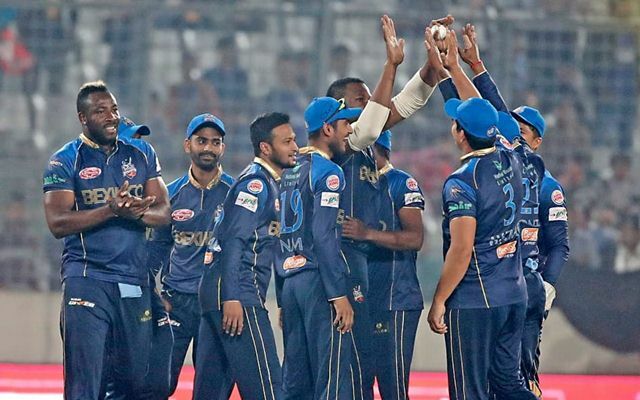 Dhaka Dynamites and Chittagong Vikings would be locking horns in the Eliminator at the Sher-E-Bangla National Stadium. The Dynamites, captained by Shakib Al Hasan, managed to qualify after they ceased their five-match losing streak, winning against cellar dwellers Khulna Titans. The Vikings, on the other hand, were at the top position of the table, but a string of defeats meant that they couldn’t finish in the top two positions. In the group stage, the Vikings beat the Dynamites in a couple of closely-fought encounters. However, history says that Dhaka have been the dominant team in the playoffs, having not progressed to the final of the T20 extravaganza only once in 2015. The pitch is expected to be good for batting. The deck isn’t a bowler’s paradise anymore and batsmen can play their strokes without nurturing any inhibitions. Mohammad Shahzad is expected to play the game and he will open with Cameron Delport. It may also mean that Sikandar Raza, who hasn’t been that consistent, may have to sit out. Ashraful and skipper Mushfiqur Rahim would bat at number three and five. Hardus Viljoen is likely to retain his place in the eleven. The Vikings would want to shed the disappointment of the loss against Sylhet Sixers. The left-handed duo of Upul Tharanga and Sunil Narine form the opening combination with skipper Shakib Al Hasan at number three. Nurul Hasan is likely to continue batting higher up the order because of his impressive form. It will be interesting to see Rony Talukdar’s position in the lineup. 19-year-old Qazi Onik bowled with his heart out against the Titans and he deserves another opportunity. 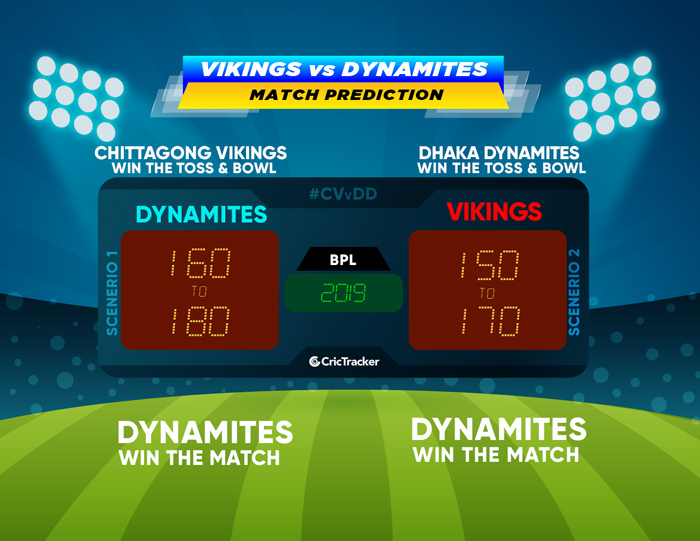 The prediction is that the Dhaka Dynamites will win the match.